In memory of dearly loved Shannon, officially known as Marquiser Shannon by Caskeys, born 28. 08.1995. She was born in England, bred by Mrs. Kay Straughair in Camberley, Surrey. Shannon was a daughter of Bob & Christine Heron's Sh. Ch. Caskeys Blarney and Marquiser Rossoa. 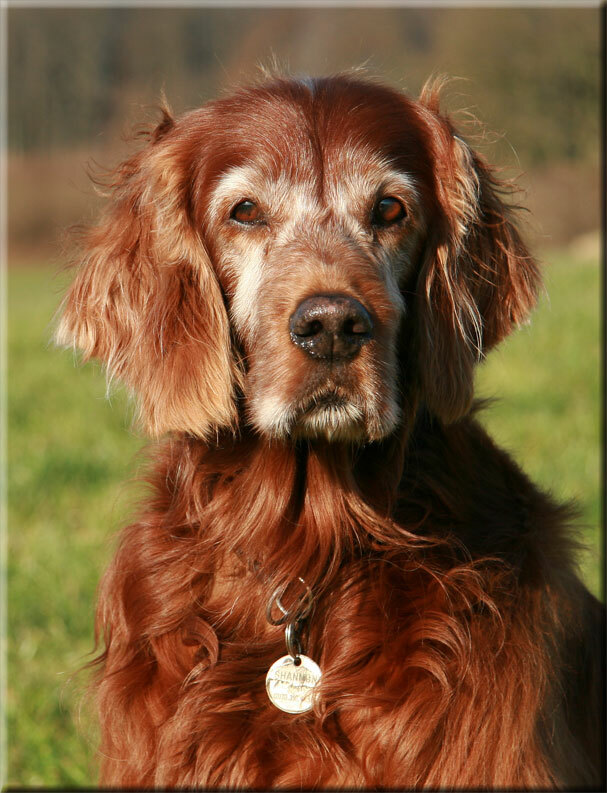 Shannon was very successful in the show ring, but above all she loved working as a Search and Rescue dog. 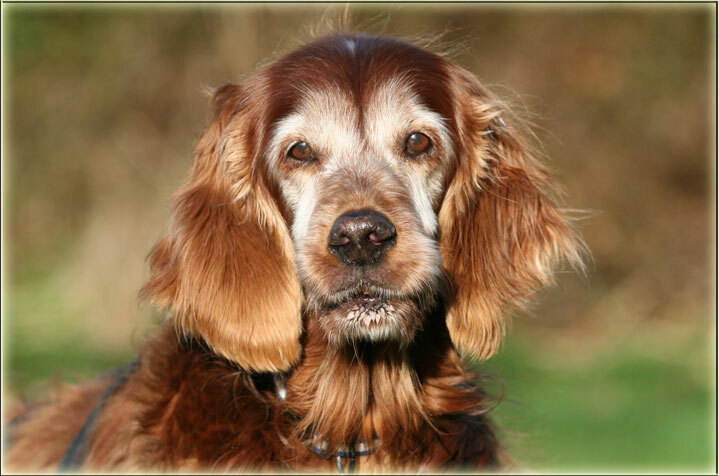 She was fully qualified for active search of missing people and was out with the Redog team on various occasions. Shannon was always very keen and active and extremely willing to work. 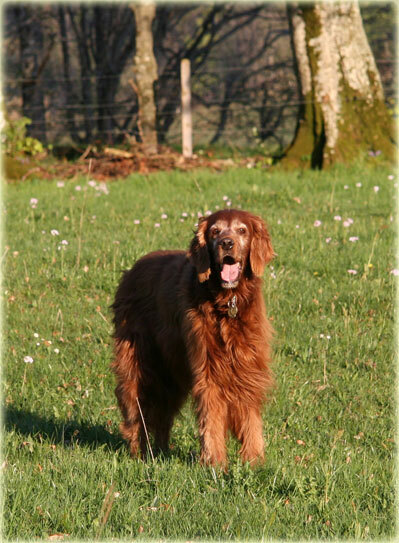 She also had a litter of 8 puppies on March 26th 2000 to Hey I'm Harvey vh Adelaarsvaren and we kept her daughter Bramble. Sadly two of her sons were affected by epilepsy, so breeding from this line was not continued. 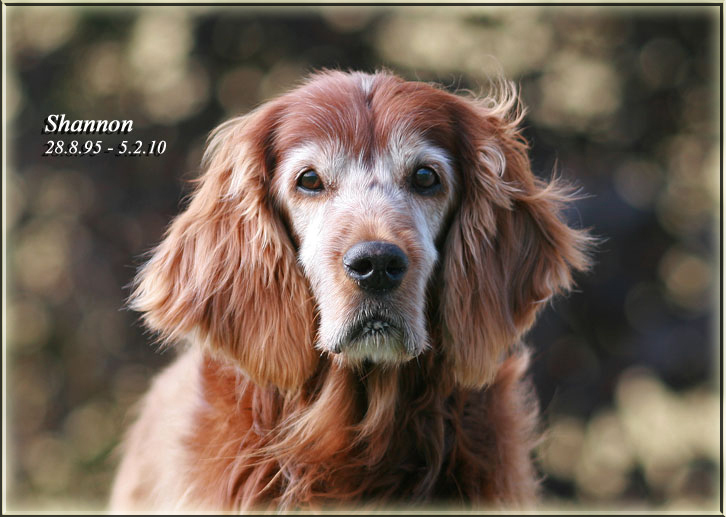 In summer 2007 Shannon had a bad spell health wise and we thought we would lose her as her liver seemed to be failing. To everyone's surprise she recovered and was on low doses of Prednisolone (5mg every 2nd day) for the rest of her life. 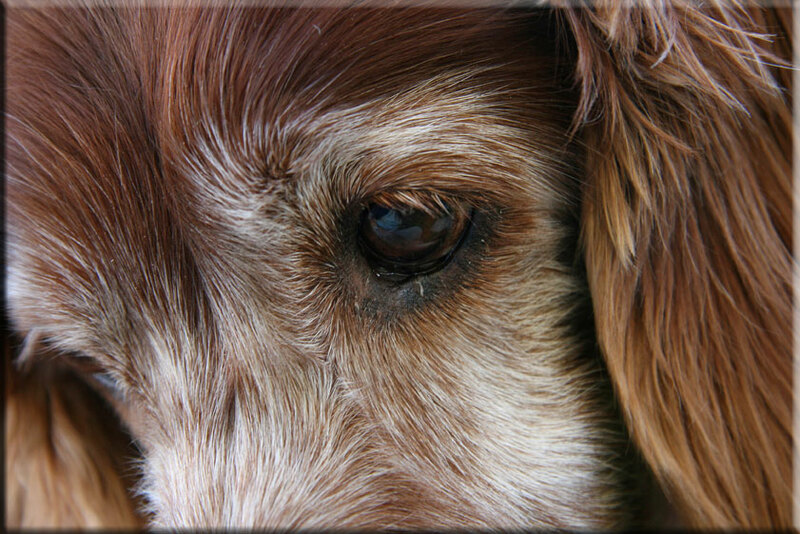 In February 2010 we were forced to make the final decision and she softly and quietly slipped into another world. For more information about Shannon's work have a look at the search & rescue section. 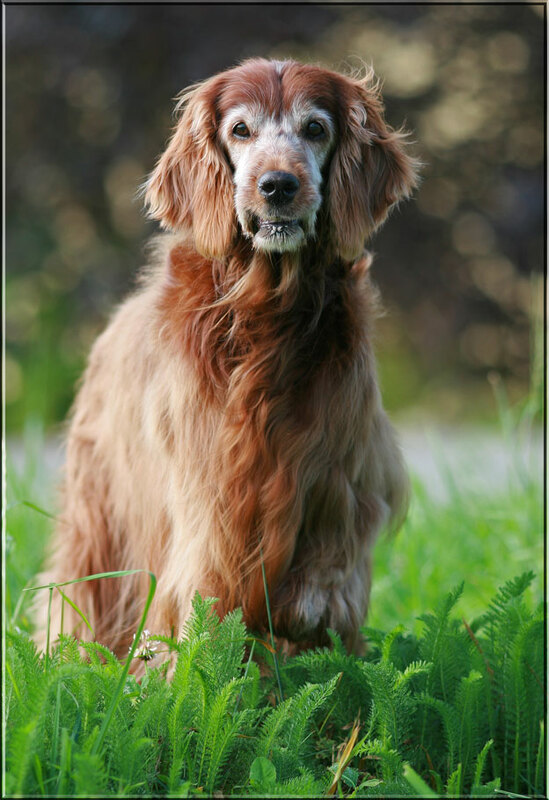 We are very proud that this photo of Shannon was chosen by Hilde Schwoyer for the cover of her book on Irish Setters. Have a look at the photos, showing Shannon enjoying life at home & on holiday in the Black Forest - below as a puppy aged 3 months - as a 1 1/2 year old - in the autumn leaves during a walk - in the swiss mountains with a view over the Aletsch glacier. We have a lovely time discovering beautiful walks in different countries with our dogs.